Indian singer Harshdeep Kaur has become a popular name both in the Bollywood and Sufi musical world. Having made her mark in the Indian film industry – the biggest film industry in the world – Harshdeep Kaur’s vocals are recognised across the globe. The songs from Bollywood films are a crucial part. In truth, a Bollywood film’s success depends heavily on a good musical score. That’s where the importance of the playback singer comes in. In Sufisim, mystical Islam, the songs attributed to God represent a personal connection. The theme usually revolves around love and the intensity of this yearning for God is popularly presented in song form. Below, we explore some of Harshdeep’s songs along with a short summary. Read on, watch and listen to discover Harshdeep Kaur’s Bollywood and Sufi magic. Kabira is a song with a Sufi touch. The lyrics thought provokingly explore identity and belonging. Having the song set within the backdrop of a marriage makes it all the more poignant. In this song, the lady of the house lovingly asks what would happen if she were to leave. Her beloved insists for her to stay… and even to cook for her! How will you live without me? How will you fire up the stove without me? The stove will be lit! Ready to massage your feet! The beautiful lyrics of Heer visit the epic love stories of Heer-Ranjha and Mirza-Sahiba. The tone of the song is one of complete devotion to the beloved. For I am now Sahiban. He will take me away. 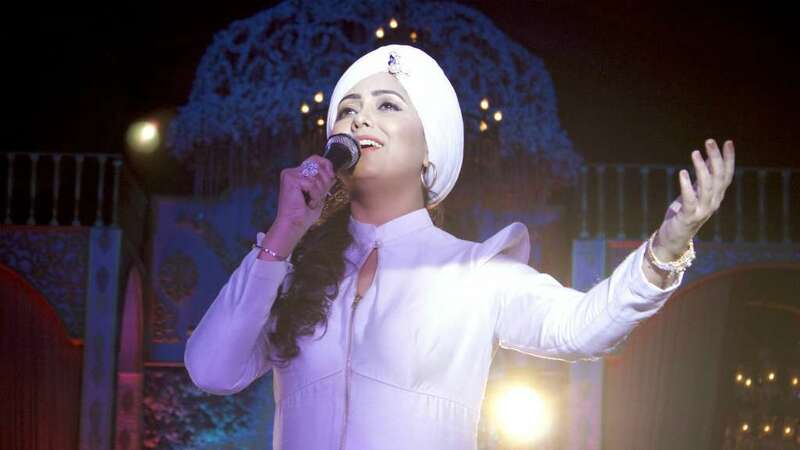 Harshdeep Kaur performs alongside folk singer Mame Khan in Rab Jogi. A feast of different instruments creates emphasis on the beauty of this Sufi inspired song. It is not clear whether the love song is dedicated to God or a human beloved – a classic trait of Sufi poetry. I want to sing His praises all day. All my trouble has gone away. Hoo was composed by the 15th century Sufi saint and mystic, Sultan Bahu. This 400 year old “Kalaam” is still sung by followers of Bahu. How shall I please my Beloved? Will this pain torment me forever, Bahu? In this London Mela performance, Harshdeep Kaur sings one of the most popular Sufi songs of all time – Dama Dam Mast Kalandar. Four lamps always light up Your shrine. I have come to light the fifth. Oh Master and friend of Sindh and Serwan! Get tickets to see Harshdeep Kaur live in concert!